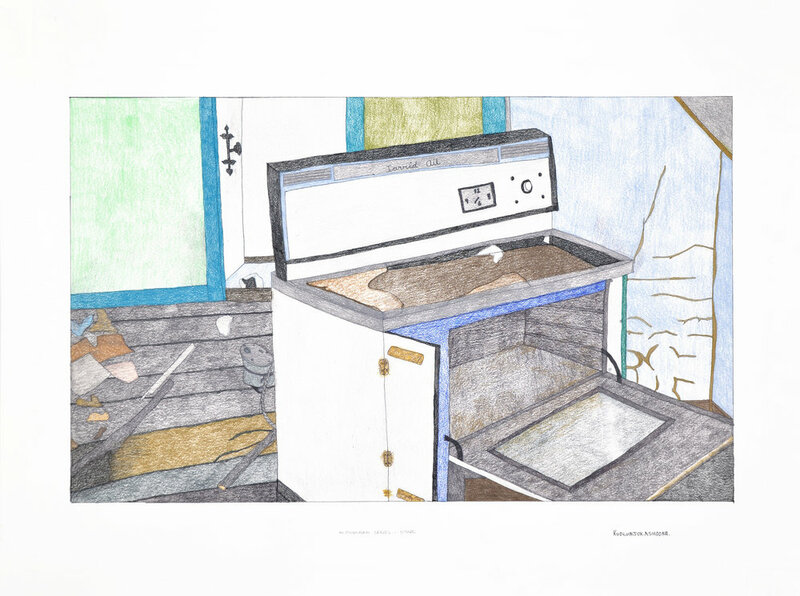 Until recently, drawings were used almost exclusively as the creative foundation for printmaking. 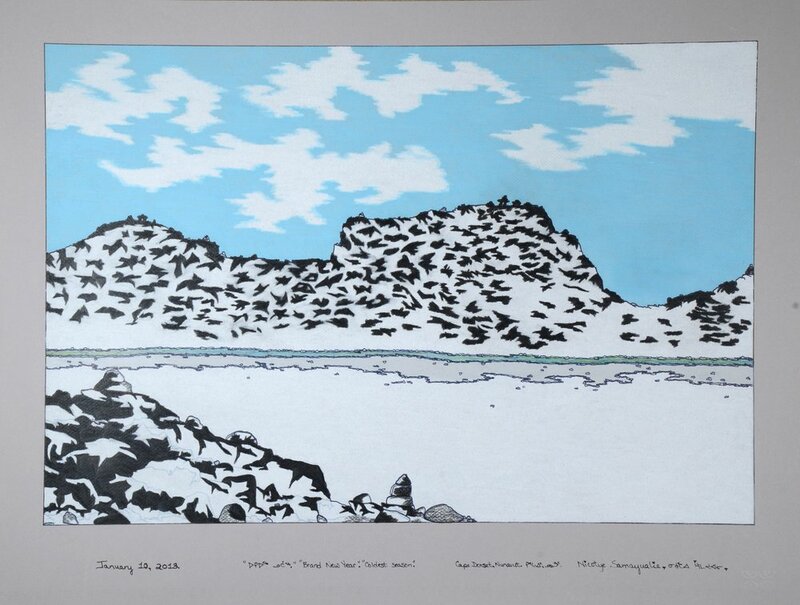 The annual print collections are the public face of Kinngait Studios. 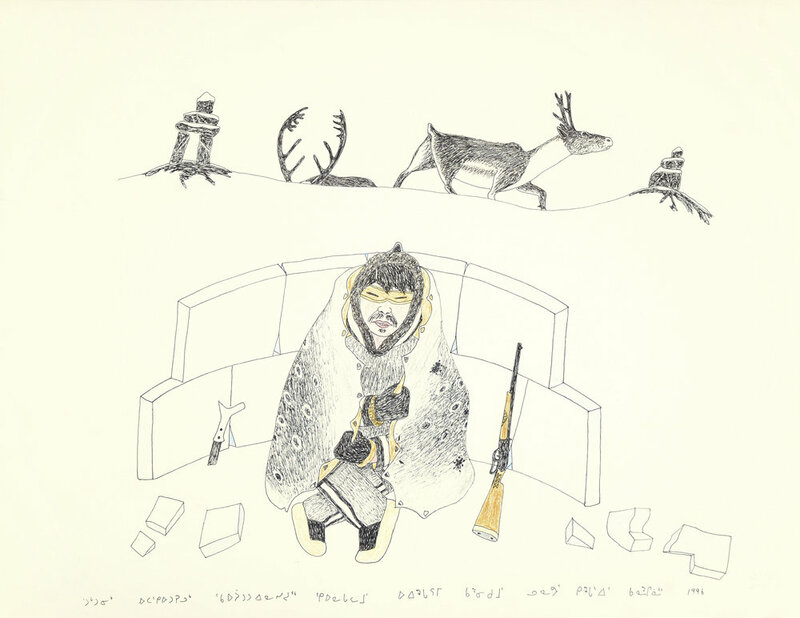 The source of there images are a vast collection of original drawings, known collectively as the archives. 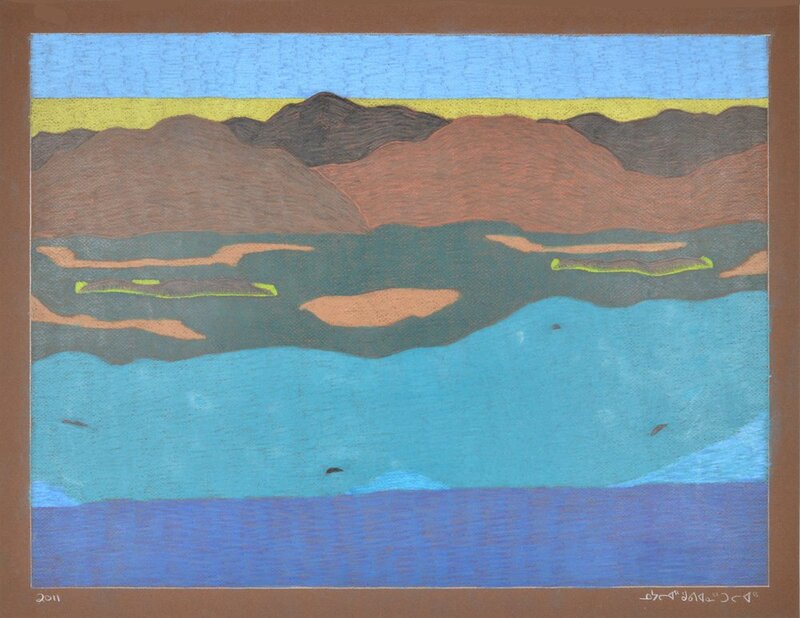 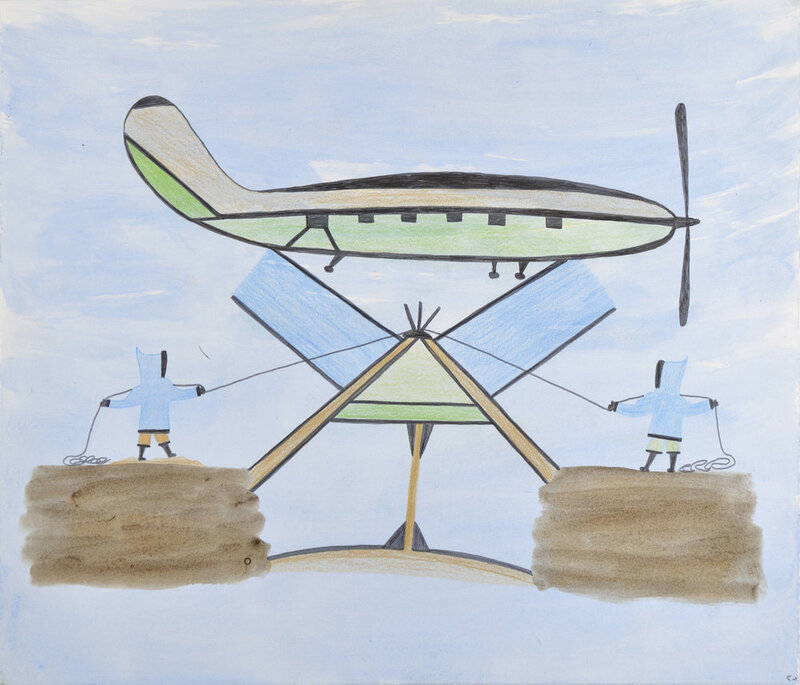 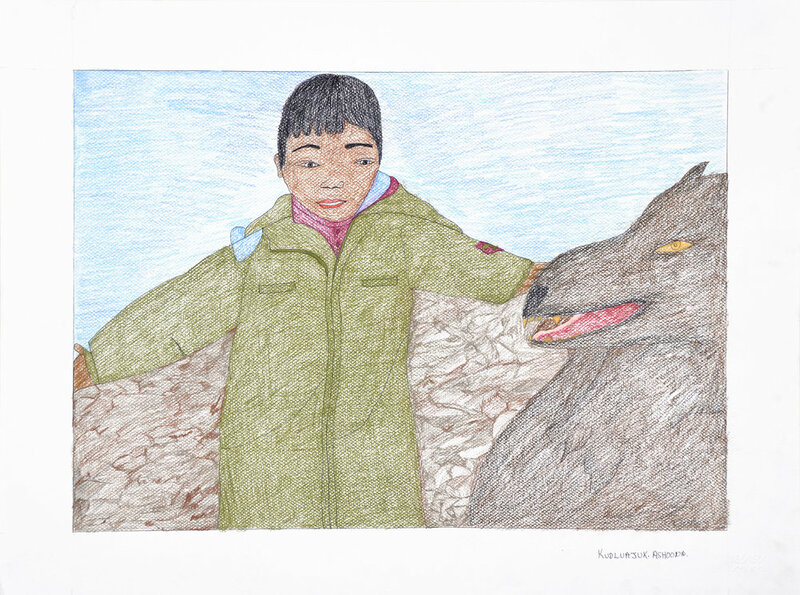 In the early years, people still living in the camps around Cape Dorset were given paper and pencils and asked to draw; almost everyone in the area turned up at the small craft shop with their first attempts. 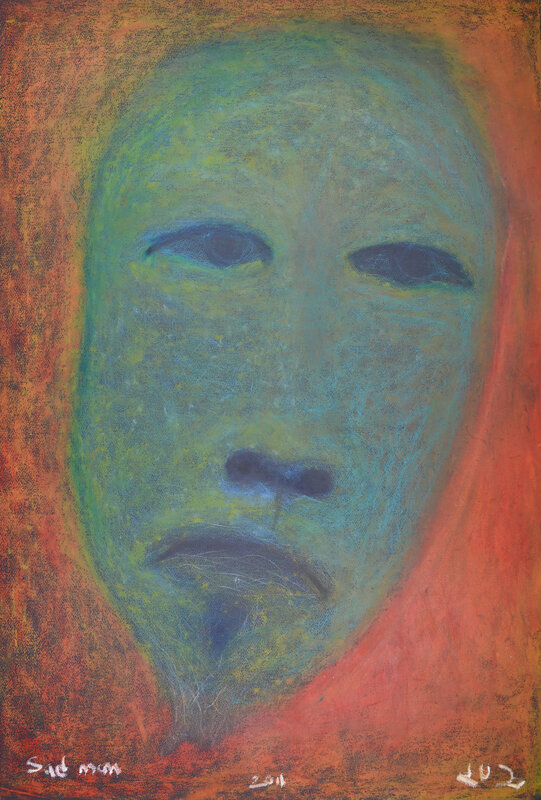 Some gave up eventually but many stuck with it, maturing as visual artists as the years passed. 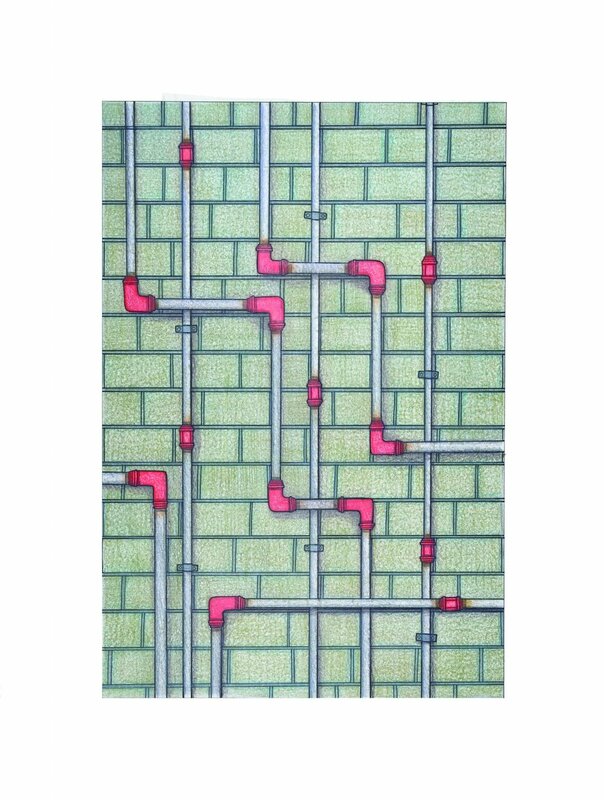 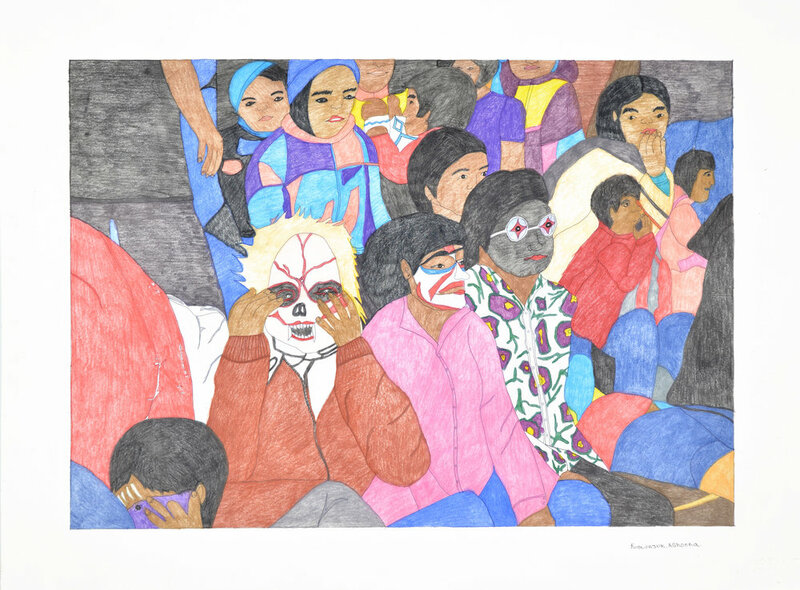 The archive is now a treasure trove of over 100,000 drawings by over 200 artists. 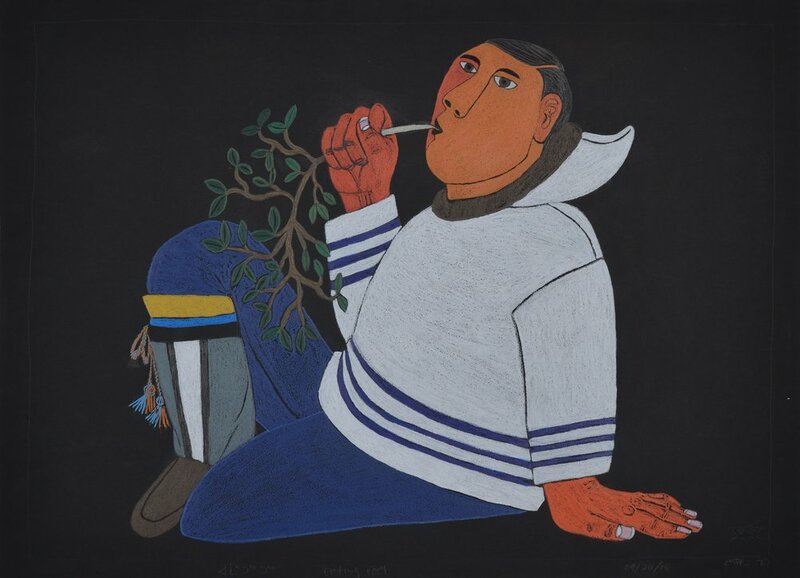 In 1992, the collection was loaned to the McMichael Canadian Art Collection just outside of Toronto to be housed, documented and cared for. 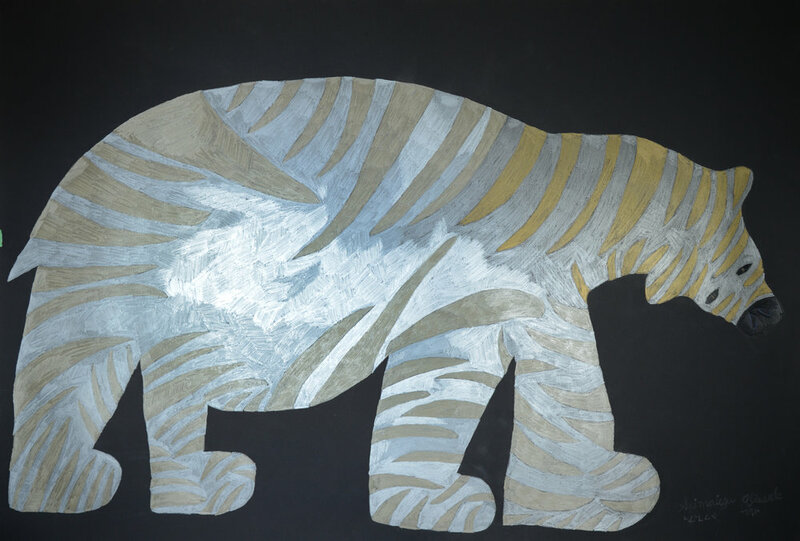 In the last decade, Kinngit Studios has launched a revitalized drawing program, introducing new media and larger paper. 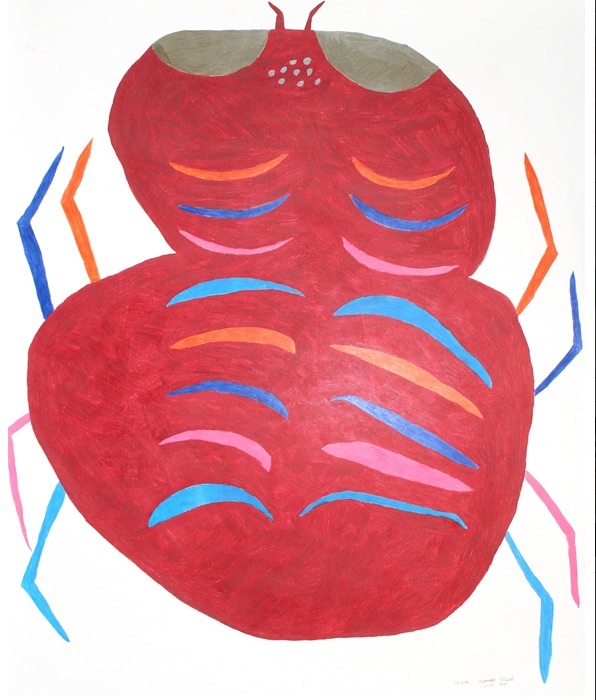 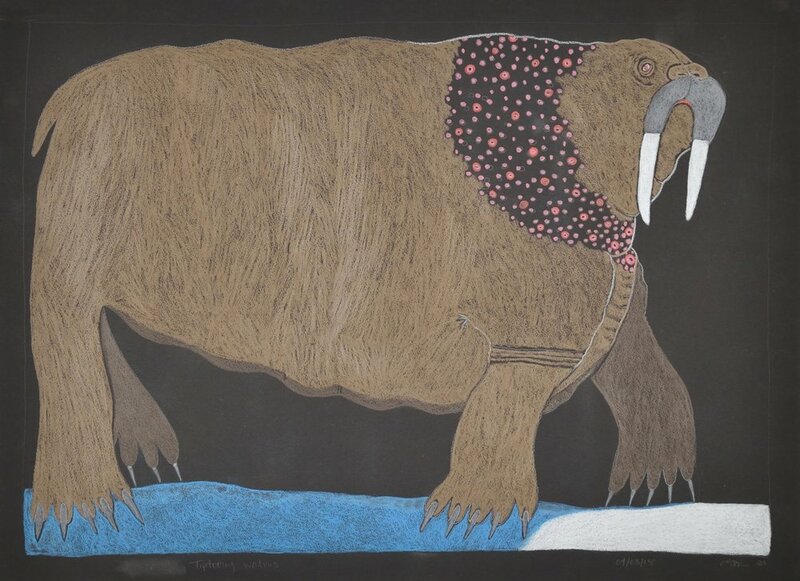 Artists have flourished and exciting and challenging work has emerged from Cape Dorset in the past several years. 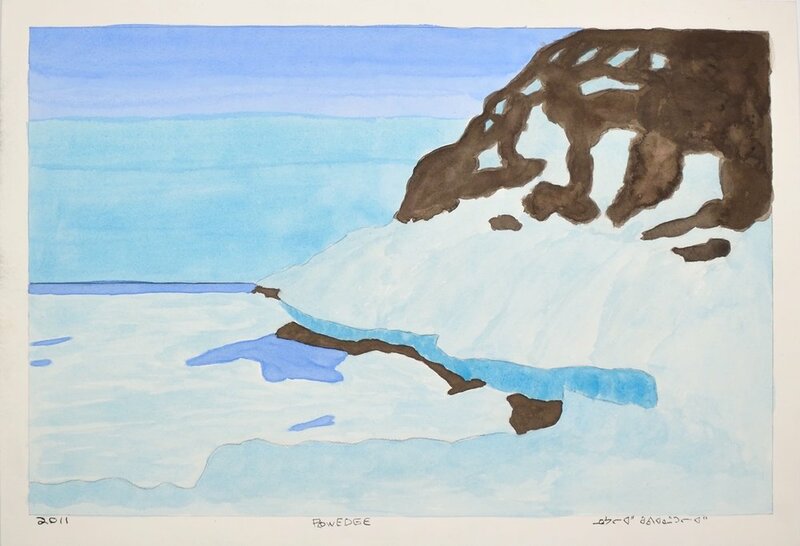 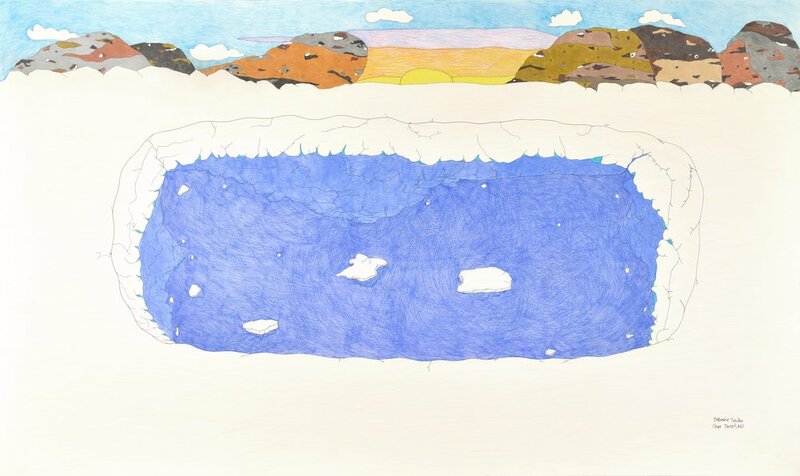 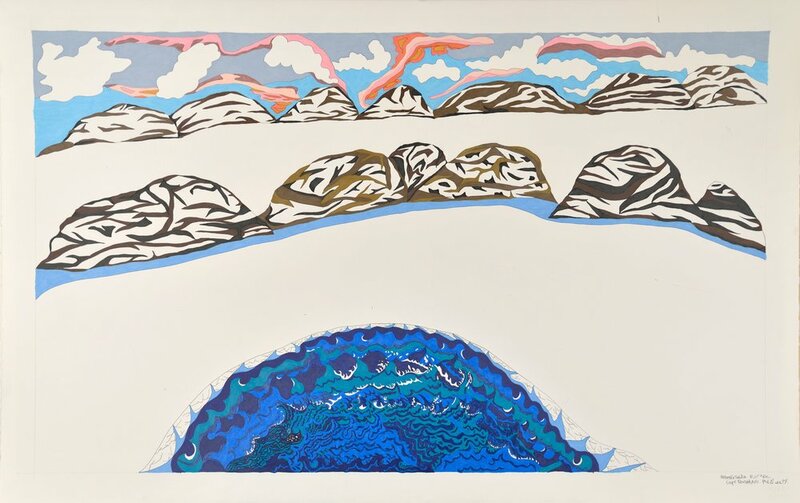 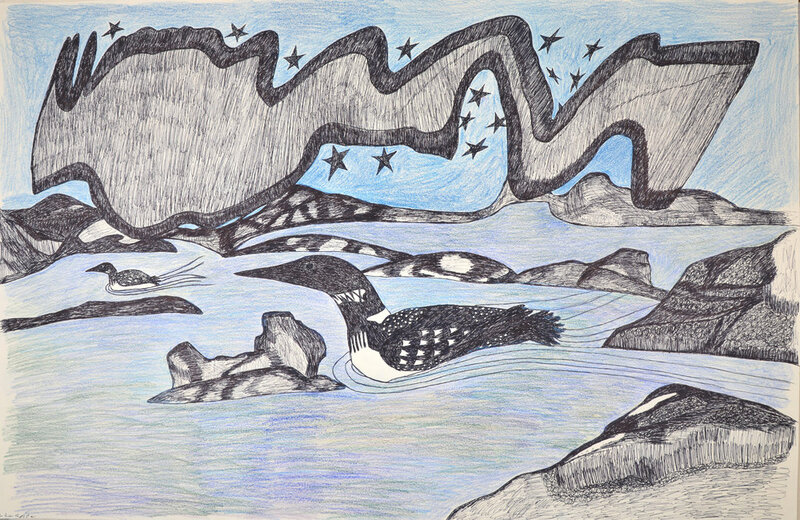 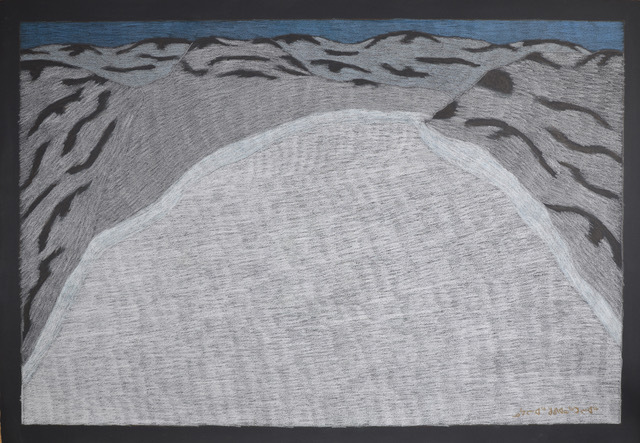 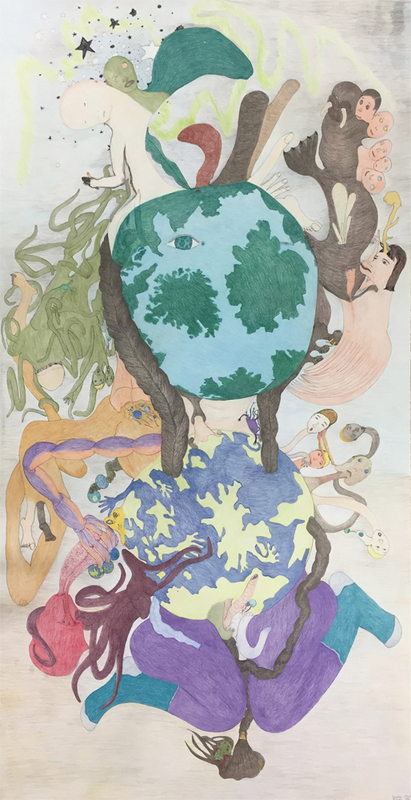 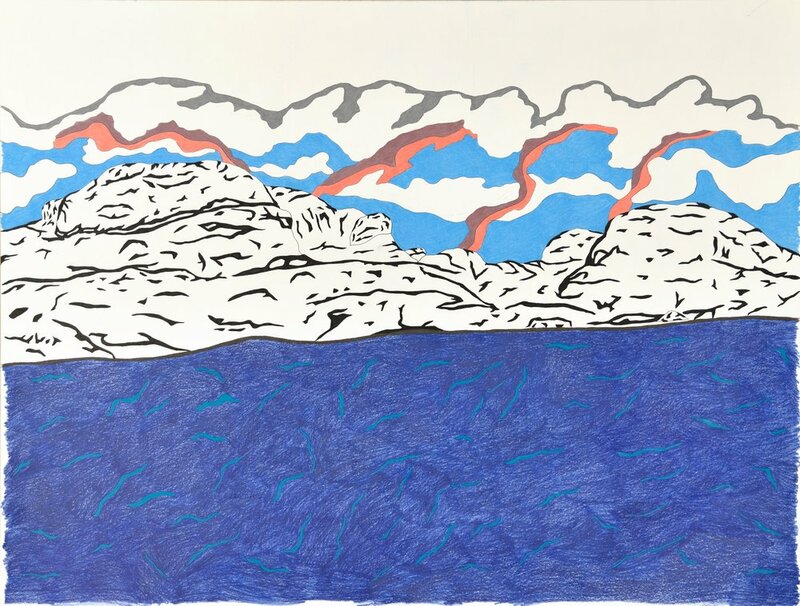 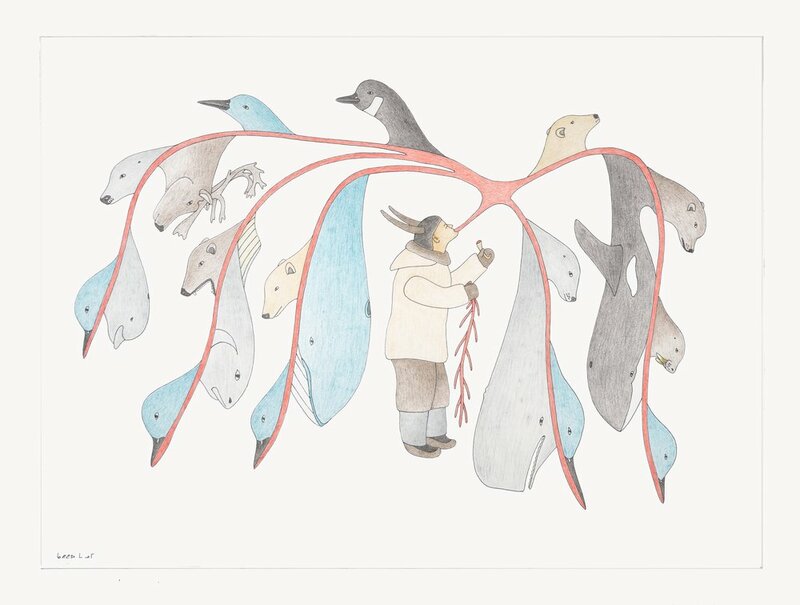 Select galleries have focused almost exclusively on these contemporary drawings, opening the door for Inuit artists to join southern artists in creative collaboration and artistic exchange. 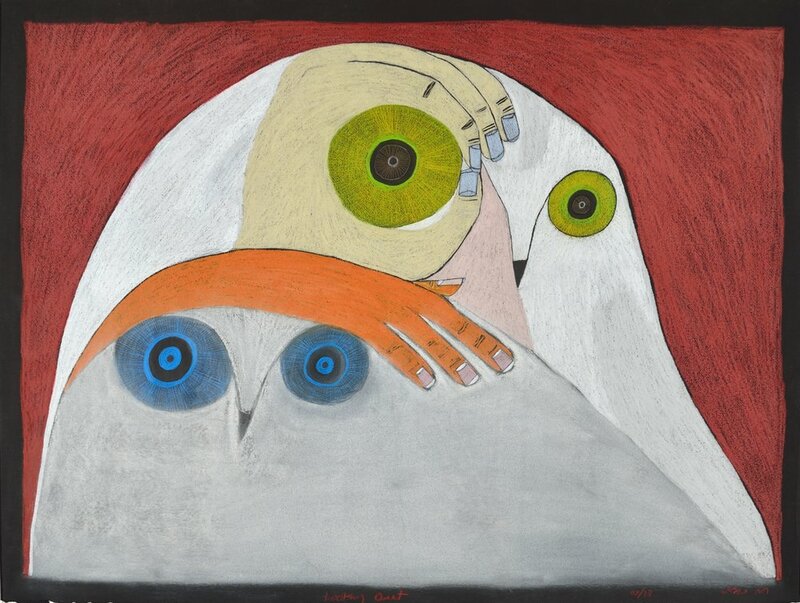 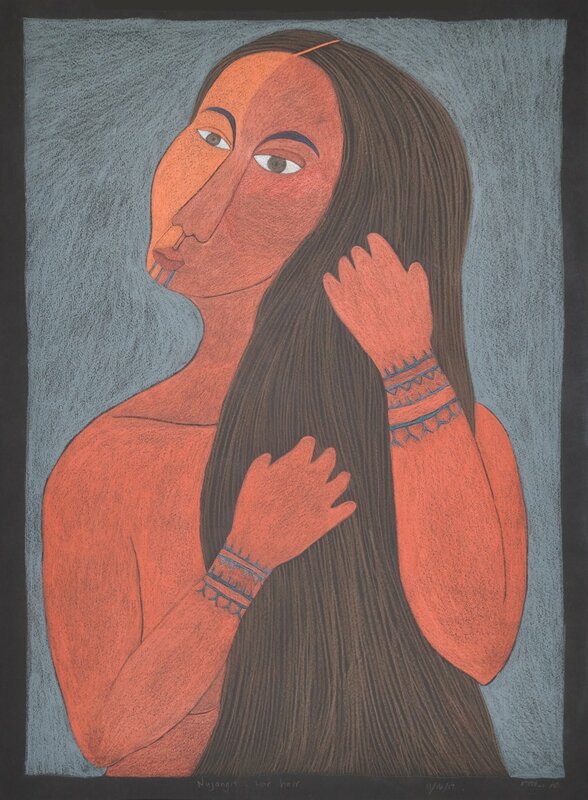 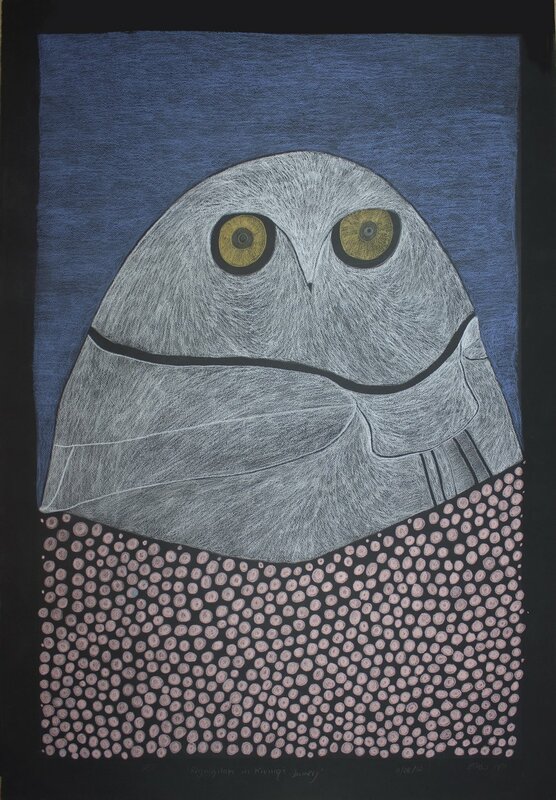 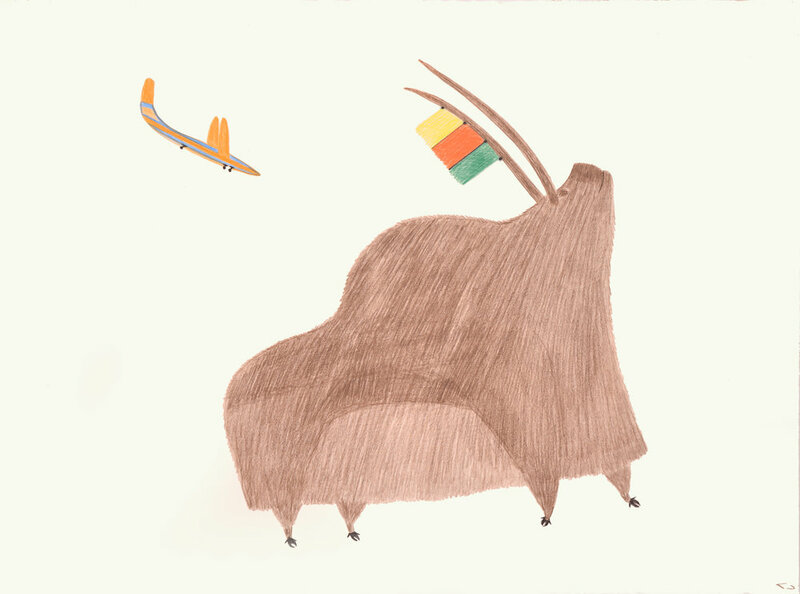 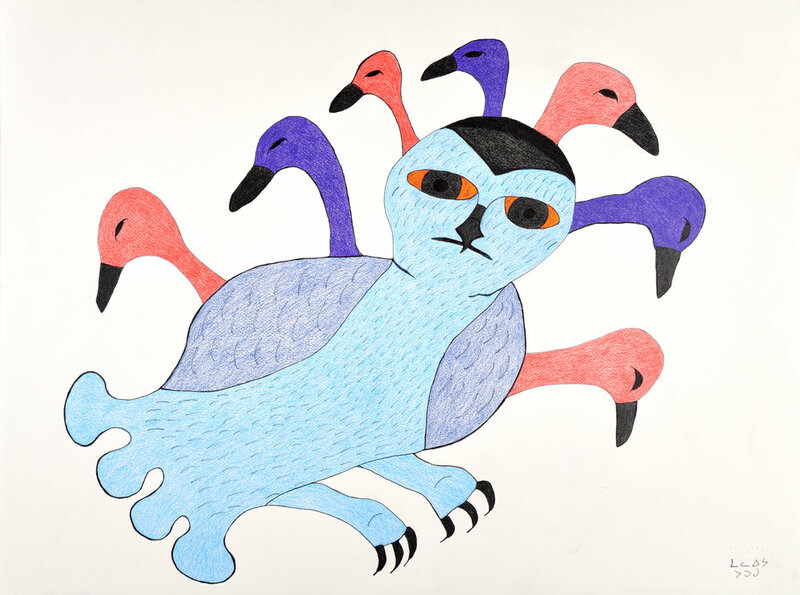 Below you will find a visual guide to Cape Dorset graphic artists with excellent examples of each for you to browse. 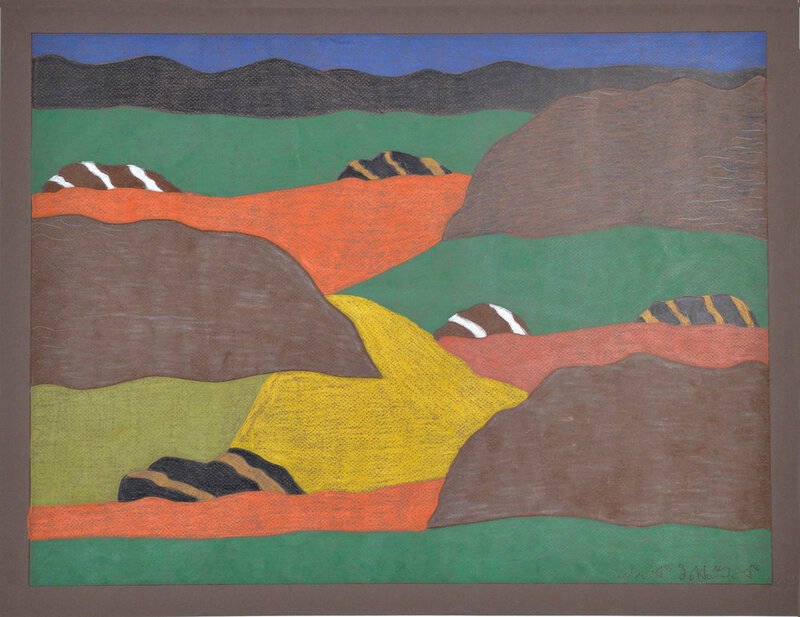 Dorset Fine Arts does not sell directly to the public, but we work with a number of galleries that would be happy to assist you. 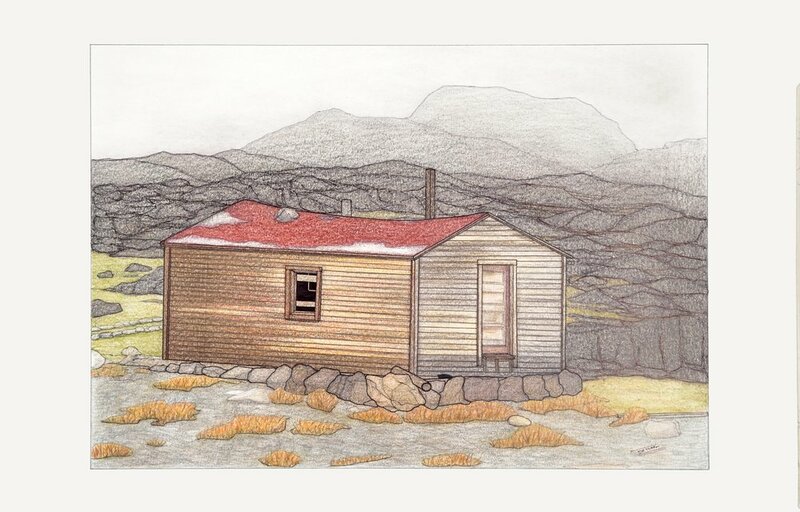 Visit our Galleries page to contact a gallery of your choosing and talk with them about what you’re interested in.